Nothing seems to delay my book reviews more than the holidays. Well, maybe one thing delays them more and that is extremely long books. 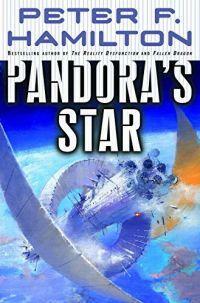 Pandora's Star at 992 pages or over 37 hours is massive and truth too be told way longer than it needed to be. There are some excellent parts of this SciFi novel including the first contact with an alien race in their home world and the aliens subsequent response. However, the author takes the plot on too many tangents that never conclude in a satisfactory way. I know this is the first book in a series but after investing so much time in completing it I expected something that brought the various pieces together or at least explained why certain minor plot lines were included at all. With better focus and pacing this could have been an excellent book. It really left me disappointed with the conclusion so I give it two of five stars. Less really can be more and detailed descriptions of non-important characters and situations actually distract from the potential story.